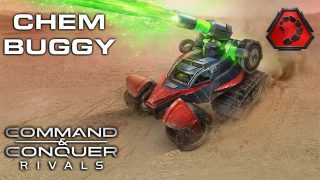 This week, we introduce Nod’s Chem Buggy, which is sure to be a new favorite for Commanders deploying Jade’s Catalyst Missile, and GDI’s Drone Swarm, which will please any air-focused army. Read on for tips, tricks, and counters to master these new units. The Chem Buggy is Nod’s first known attempt to mechanize Dr. Giraud’s corrosive Tiberium gas cloud weaponry. 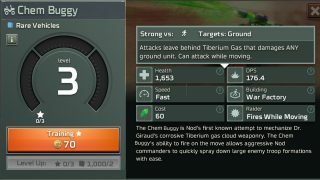 The Chem Buggy’s ability to fire on the move allows aggressive Nod commanders to quickly spray down enemy units with ease. 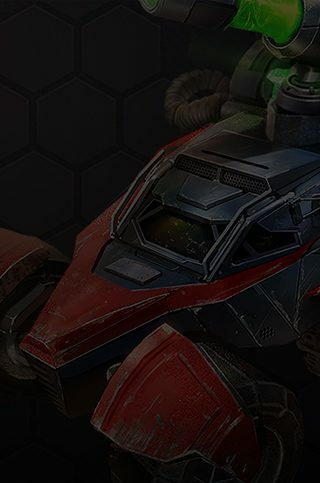 The Chem Buggy is the perfect addition to any army led by Jade. 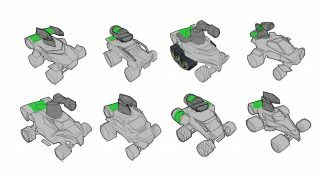 With it’s fast movement speed and ability to shoot while moving, the Chem Buggy can quickly spread Tiberium gas over a large area. Hit the Tiberium gas with Jade’s Catalyst Missile to create a large explosion, destroying enemy units. The more hexes the Tiberium gas covers, the larger the explosion. With a lingering Tiberium Gas cloud, the Chem Buggy is deadly to any ground unit. Attack with Predator or Scorpion tank, firing on the move to stay out of the deadly gas. Utilize Orcas and Banshees to dish out damage without worrying about the gas. GDI’s Drone Swarm is an outgrowth of Dr. Liang’s research into pilotless aircraft. The Drone Swarm is armed with a light machine gun for front line combat duty. Dr. Liang objected to weaponizing his drone technology but was ultimately countermanded by General Solomon. 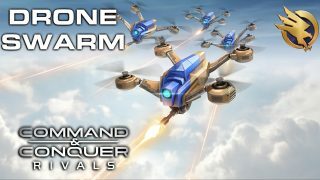 The Drone Swarm is a great opener for players wanting to use air-heavy decks. Like Riflemen, it has an extended view ranging, making it an excellent scouting unit. 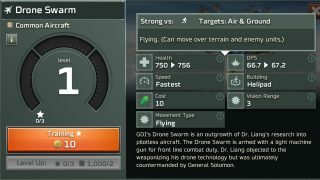 The Drone Swarm is easily able to spar with light enemy infantry, making it an effective early game unit. The Drone Swarm is vulnerable to fast, mobile anti-aircraft units. Send in anti-air aircraft and fast vehicle units to take down the Drone Swarm. Strong against infantry, Missile Squads and Laser Squads won’t fair as well against the Drone Swarm. We Want Your Feedback: We’ll be aggressively tweaking and tuning all units ahead of worldwide launch, and this is a great chance to have a real impact on the game! Play the latest update now and tell us what you think of the new units on Twitter and Discord.